One of the hot new trends in Content Marketing this year is “content syndication”. You write an article and publish it on your own blog. Your audience checks it out. Then you take that same article and republish it on a dozen wildly popular sites like Huffington Post, Fast Company, Inc, Lifehacker, The Next Web, tapping into their massive audiences and getting huge traffic and some high authority links from them. You just publish your article and THEY pick it up and republish it automatically, without you having to do anything (like it happens with Buffer blog). But of course it’s easier said than done. Content Syndication might sound like a “hack” or a “shortcut”, but in reality there are tons of hard work involved. And 80% of that hard work goes into creating high quality content that authority sites will be happy to republish. To be honest I never had any of my content syndicated on big sites. But I know someone who does it regularly. 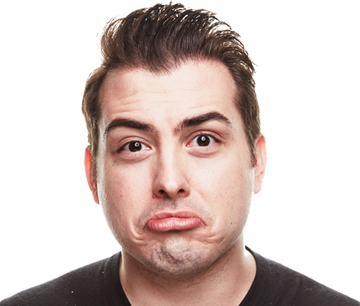 Meet Gregory Ciotti — one of the most brilliant content marketers that I know of. His articles generate up to 19.000 likes on Facebook and get referenced by leading blogs like SmashingMagazine, CopyBlogger and Buffer. I’ve learned a lot from Gregory about writing noteworthy content and I’ll be happy to share some of my takeaways with you. 1. The secret to great writing is great reading material. This applies to both: what you write and how you write it. We aren’t born with tons of knowledge in our heads. So if you want to write something noteworthy — you have to learn something noteworthy first. There are a lot of ways to learn new things, but reading is probably the quickest one. Gregory writes a lot about human psychology and by looking at his list of “50 Must‐Read Social Psychology Books” you can guess where all these great ideas of his articles come from. 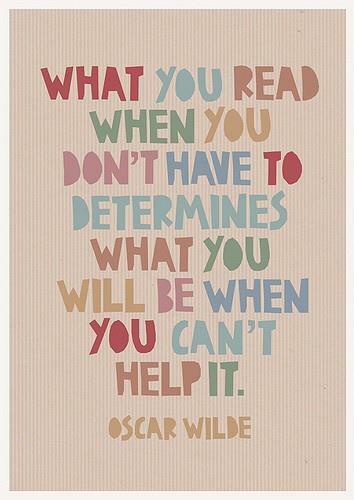 Yet books are not the single source of new information out there. A ton of new articles on any given topic are published online every single day. - How to keep up with all that stuff? Here’s a great habit that every content marketer should adopt. Whenever you decide to write an article on a certain topic — go and read all the best articles on that topic that were already written. How do you know which articles are “the best”? They either have tons of social shares or tons of other websites linking to them. Reading a lot and being on top of things is one of the best “hacks” I know to writing notable content. And all the tips below won’t really work for you until you master this one. Another great “hack” that I’ve learned from Gregory. M. Night Shyamalan is a movie director and screenwriter who made a name for himself by having a unique “twist” ending in his movies. That’s what you need to do with your content — add some unique “twist” to it to help people remember you. This “twist” can take many different forms. 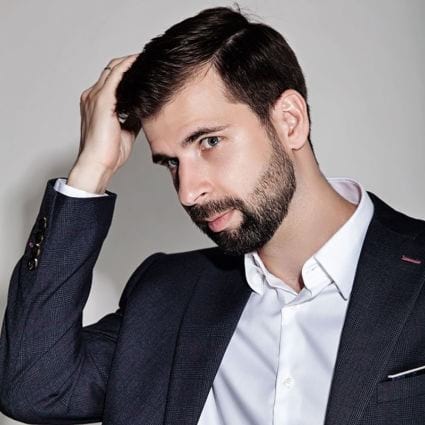 Gregory Ciotti mostly writes about personal development and customer success and he is known for using a lot of psychological studies and research data in his writing. Derek Halpern has the same “twist” as Gregory (referencing a lot of psychological studies), but he applies it to a different niche — online marketing. The twist these guys have picked for themselves takes tons of effort to master, so you may think of an easier “twist” to start with. 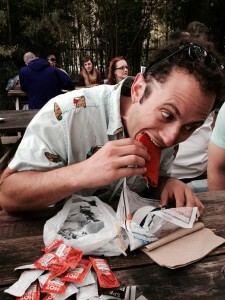 For example Ana Hoffman is strongly assiciated with a cup of hot coffee and Noah Kagan with a bunch of tasty tacos. I mean even the smallest detail can help you stand out. And you shouldn’t limit yourself to a single “twist” actually. This concept was totally new to me, but it makes so much sense! “White bread” content (not healthy, but very tasty) — the kind of content that is easy to digest. It won’t make you think too hard and you may not learn a lot, but it would surely be a fun read. “Wheat bread” content (not tasty, but very healthy) — the deep dive kind of content that breaks down some difficult topic. An article like this can teach you a lot of new stuff and even change your day‐to‐day life. “White bread” content is the one that will get a lot of social shares, because people enjoyed reading it and they want to immediately share their experience with others. “Wheat bread” content won’t get many shares, but it might get a lot of references. After learning something valuable people tend to reference the origin of their knowledge when they talk about it. I decided to browse Brian Dean’s blog Backlinko.com with Ahrefs’ Content Explorer tool to find a few examples of of “white bread” and “wheat bread” content. Check out this post: “17 Insanely Actionable List Building Strategies That Will Generate More Subscribers Today”. It breaks down 17 list building strategies without going into too much detail. It’s easy to digest and doesn’t require a lot of thinking from its readers. 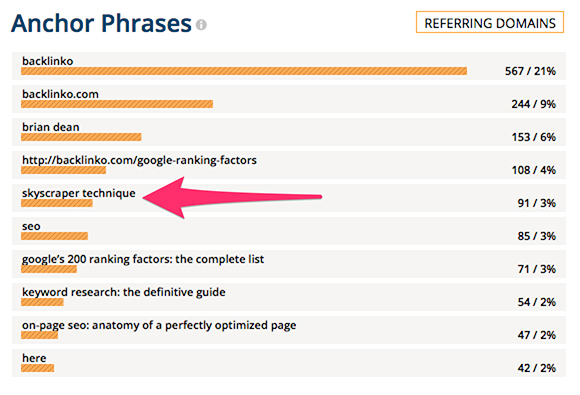 Now check out this one: “Link Building Case Study: How I Increased My Search Traffic by 110% in 14 Days”. In this article Brian goes really deep into what he calls a “Skyscraper Technique”, which makes the article quite hard to digest, but you learn a ton of stuff from it. That post got only 525 tweets, which is 6x less than the previous article. So with “white bread” content you entertain people and attract a lot of traffic to your site. And with “wheat bread” content you teach them something valuable and get referenced for it. Here’s an absolutely ingenious thing that Brian did to his piece of “wheat bread” content — he created a system that people can follow and gave a name to it! When you give a name to a process or a strategy that you have just shared with your audience, you make it easy for them to reference it in future. So bloggers don’t reference Bryan’s article as “this post on generating traffic”, they use the short and catchy name — the Skyscraper Technique. It’s quite boring when everyone has exactly the same opinion on the matter, right? That’s why controversy drives shares so well — it makes people talk and express their opinions. But you have to be really careful with it. With highly controversial topics there’s a chance to offend a lot of people and bury your own image. Just pick a topic of moderate controversy. 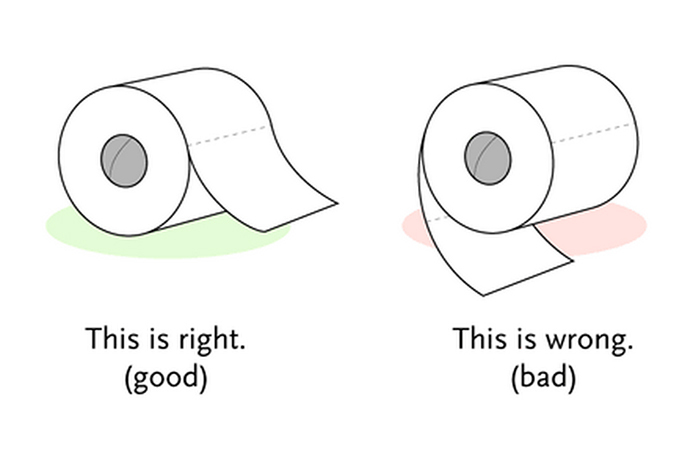 A classic example of this would be “The Great Toilet Paper Debate”. I mean you can’t offend anyone with your opinion or arguments on which side is the right one. That’s why everyone will eagerly discuss it. In fact this argument got so huge that it resulted in a dedicated Wikipedia page. If you want to learn more about controversy and how to apply it to your writing, I highly recommend you read this article by Gregory Ciotti: “The Science of Creating Controversial Content”. 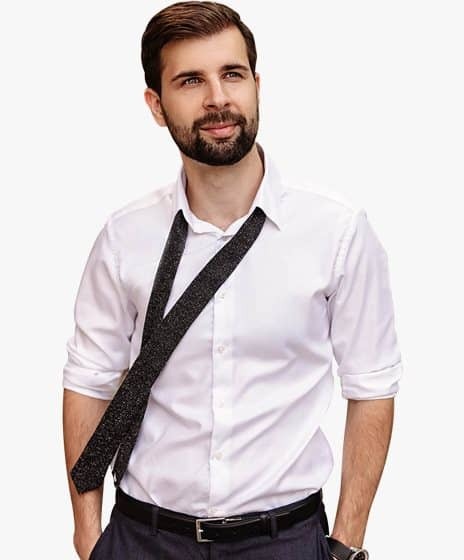 Can you explain in words “how to tie a tie”? I bet it’s going to be a pain both for you and the person reading your explanations. And you don’t have to use any words at all. Visuals help you to explain things that you struggle to put into words. And besides, what do you think your readers will do once they get asked “how to tie a tie”? Instead of trying to explain it, they will just use your visual! This is what Gregory calls “The Swipe Factor”: visuals are very easy to reference and even easier to share. They are the “snacks” of the internet! 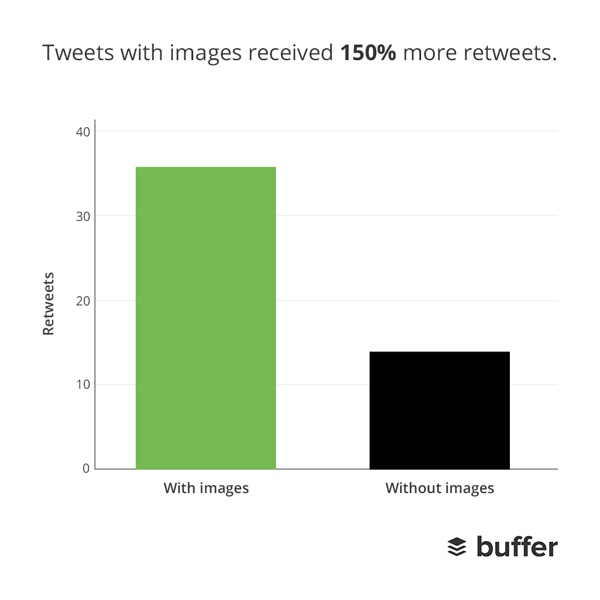 It’s no secret that images perform better than any other type of content on all known platforms. Gregory did a little experiment with their corporate Twitter account @Helpscout. That’s 4x more retweets and 5x more favourites than their regular tweet! It’s not easy to come up with a visual that others will “swipe”. Most of us don’t have the skills, which means we’ll have to pay for it (like I did to create quite a few custom images for this huge article). And even if your visual won’t take off, you can still reuse it in your own articles, which will make them look more professional. “The Marketer’s Guide to Information Visualization: How to Rock Infographics, Shareables, and Slideshows”. 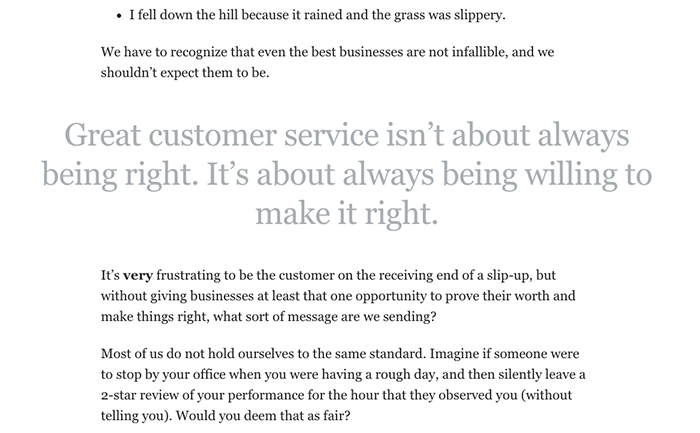 If you still haven’t heard about “sound bites” go skim through this article by Gregory Ciotti: “Customer Service is a Two‐Way Street”. You see, people love tweeting things that make them look smart, so whenever you give them a smart quote to tweet — they will eagerly do that. That’s why you can see a lot of top bloggers adding “tweetable quotes” into their articles — this helps them spread ideas and get more traffic from Twitter. 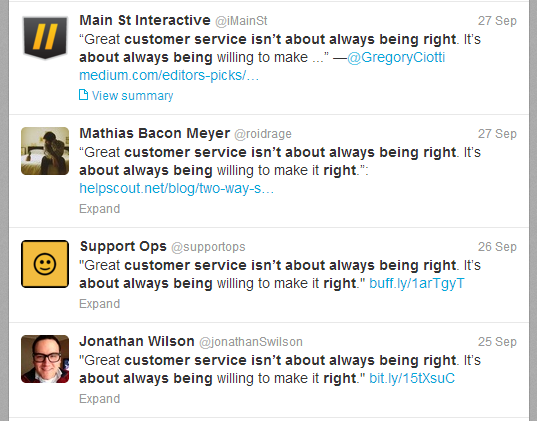 I’m a huge advocate of the “tweetable quotes” strategy. Would you like to learn the proven syndication formula, that will easily get your articles published at LifeHacker, Huffington Post, Forbes, FastCompany & many other huge publications? But I’m afraid there’s no such thing. The only way to do this, is to write a piece of content that will generate some solid buzz on your own blog and then reach out to editors of these big publications with perfect reasoning of why they should republish it. No magic pills, silver bullets or anything like that. Just “noteworthy content” + “persuasive pitch”. Actually some platforms like Medium or LinkedIn allow self‐syndication, but that does not guarantee that someone will ever notice your work among thousands of other self‐syndicated articles. Another great tip that I’ve learned from Gregory is to create content tailored for specific features that you think you can get. I mean if you want to write about Content Marketing at Forbes — go read a few articles on this topic that are already there (one, two) and make sure yours will be structured and formatted in exactly the same way. And if you won’t get a “yes” from your first attempt, learn your lesson and reach out again with a new article. But like I said from the start — it’s easier said than done. I would love to hear your thoughts on writing the kind of content that gets picked up by major publications. Did you manage to do that? What worked for you personally?